Many homeowners tend to dislike animals encroaching on their land. This isn’t all too surprising. We put a whole lot of time and effort into maintaining our outdoor spaces and we want to minimise the damage that is caused to it. However, it’s also extremely important that we understand why animals encroach on our land and that we take genuinely humane and appropriate action to deter them. Here’s everything you need to know to keep local wildlife off your land in an ethical and effective manner. The majority of wild animals want to be as far from humans and human activity as possible. We pose a potential threat to them and they will avoid us as best they can. However, it’s important to remember that human housing and activity is taking up more and more space. There are relatively few green spaces where wild animals can now live in peace. This impacts animals in a variety of ways. Not only will they have to find shelter closer to human habitation, but the quantity of green material (such as trees’ berries and plants) is reduced and numbers of prey animals are in decline. This means that prey animals and predators alike are likely to end up searching for food in more urban areas in order to survive. When people identify animals spending time in their space, they may be tempted to call pest control. They believe that these services will remove animals as quickly as possible. But despite what such companies may say, this is not a humane way to deal with animals on your land. Pest control companies kill animals that are merely trying to survive and no matter how the concept may be posed to you, there is really no humane way to kill an animal that could otherwise survive independently in the wild. Luckily, there are humane methods of keeping animals off your land. Here are just a couple to consider. 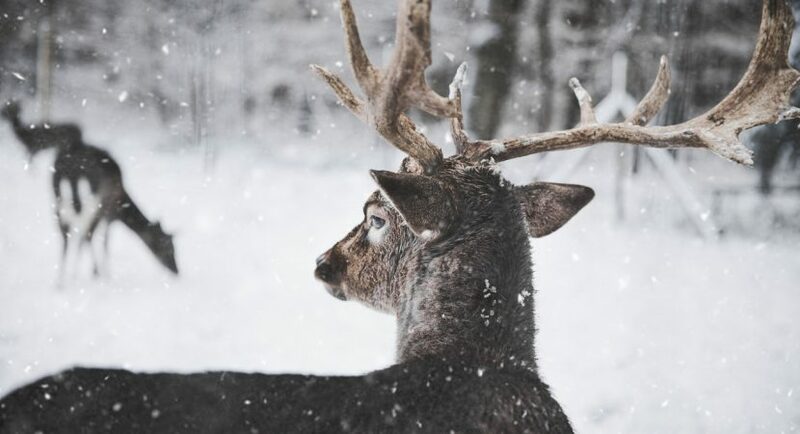 If large animals such as deer are entering your space, you might want to consider specialist fencing, such as a Deer Proof Fence. This is an easy and effective way of putting a barrier between them and your land. The main reason that animals will enter your space is to look for food. If they find food, they will come back time and time again. If they don’t, they’re likely to move on pretty quickly. So, remove all food sources from your outdoor space. Remember that you can’t pick and choose when it comes to feeding animals. If you leave bird seed or suet balls out for local birds, you’re also going to attract squirrels, rats, and other creatures. You have to make the decision whether you are happy to feed all wildlife that passes by. If you’re not, you will have to remove the food altogether. As you can see, animals encroaching on your land has an understandable cause. If you’d rather they didn’t, use genuinely humane methods of keeping animals out of your space!